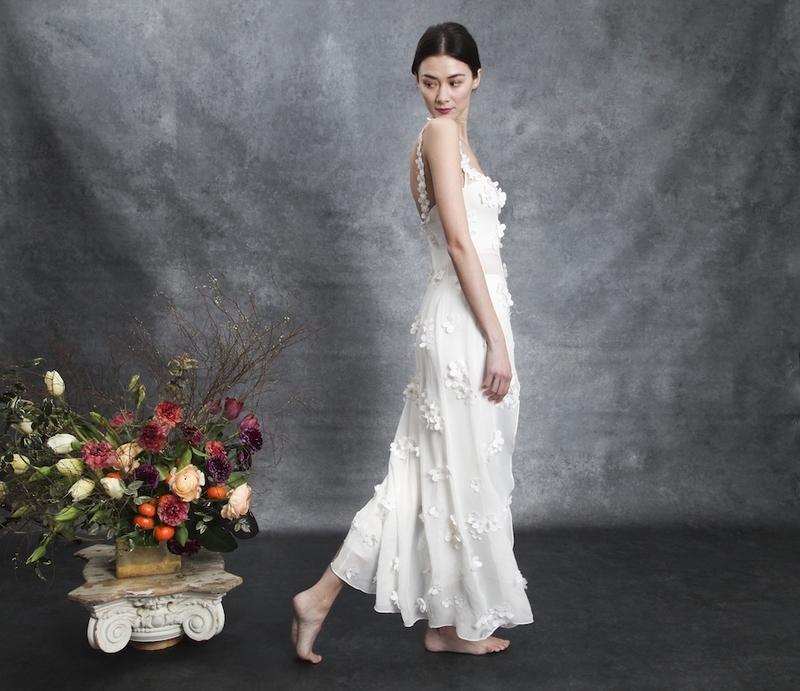 Sahroo, the ready-to-wear brand specializing in handcrafted matching sets, recently debuted their first ever bridal capsule, The Love Collection. The line is ethereal, feminine and utterly elegant. Each piece more special than the last it is truly a breathtaking capsule. This collection celebrates love. A toast to the woman who is head over heels in love with her partner and herself. In keeping with Sahroo’s tradition of naming their pieces after muses and powerful women, each piece will be named after past iconic brides. The collection’s tops are meant to be worn with either slim leg trousers, flared leg trousers or Sahroo’s elegant spin on Bermuda shorts. Sahroo has evolved their ever-popular blazers by slimming the waist, completed the high neck caftans with whimsical, oversized bows, and introduced a floor length gown with a dramatic, over the thigh-high slit. All of the made-to-order garments are crafted from 100% pure fabrics, this season focuses on raw silk and sheer chiffon, which on certain pieces can be found embellished with shimmering diamante crystals that catch the light from every angle. Sahroo pairs this iridescent embellishment with feathers and silk flowers secured with spools of silver thread. The pièce de résistance is a shimmering caftan with three tiers of white ostrich feathers. This magical piece is handcrafted by ten artisans across three weeks. Sahroo is committed to being mindful of their environmental footprint, using only recycled paper for all packaging and paper goods. With every purchase, Sahroo plants five trees through a partnership with One Tree Planted. Sahroo was founded in New York City in 2018 by Sarah Abbasi, who was inspired by the ease and elegance of the matching sets often worn in her native Pakistan. Sahroo playfully reinterprets that way of dressing using sumptuous fabrics, artisanal techniques and a dreamy, romantic color palette. The brand’s twice-annual collections are exquisitely created by local artisans who are masters of their crafts. These collaborators include hand-dyers, hand-embellishers and expert tailors who oversee the cutting and sewing of each individual piece.